Coupled systems comprise multiple mutually interacting subsystems, and are an increasingly common computational science application, most notably as multiscale and multiphysics models. Parallel computing, and in particular message-passing programming have spurred the development of these models, but also present a parallel coupling problem (PCP) in the form of intermodel data dependencies. The PCP complicates model coupling through requirements for the description, transfer, and transformation of the distributed data that models in a parallel coupled system exchange. 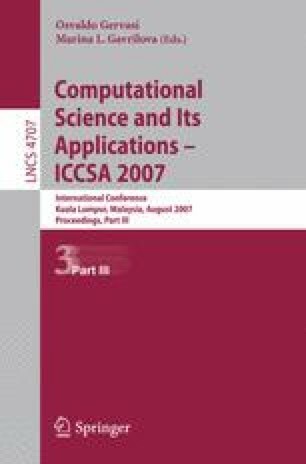 Component-based software engineering has been proposed as one means of conquering software complexity in scientific applications, and given the compound nature of coupled models, it is a natural approach to addressing the parallel coupling problem. We define a software component specification for solving the parallel coupling problem. This design draws from the already successful Common Component Architecture (CCA). We abstract the parallel coupling problem’s elements and map them onto a set of CCA components, defining a parallel coupling infrastructure toolkit. We discuss a reference implementation based on the Model Coupling Toolkit. We demonstrate how these components might be deployed to solve a relevant coupling problems in climate modeling.